61 customers have given this product a 5-star rating. Of these, 57 customers have written no texts or given their feedback in another language. Of these, 30 customers have written no texts or given their feedback in another language. Ive owned these for a very long time now, and I'm still using them! High quality rubber & felt, never had any problems at all! 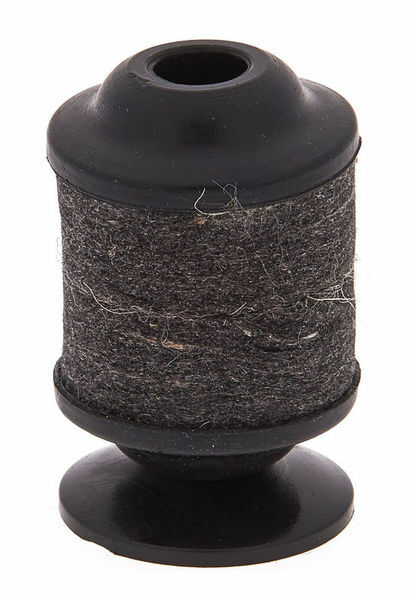 The rubber top and bottom give you an extra option to use instead of the traditional felt. But when using the felt side, the rubber bottoms means the cymbal sits & moves much more naturally, i also think it reduces the shock which travels into the cymbal stand - giving a better cymbal sound and extends the life of your hardware! I have a cymbal that is the result of my beloved 12"(or maybe 10" I don't remember anymore) splash cracking on the rim. Since I loved it so much I cut of the complete rim to the edge of the crack and it is now a special ringy 5" (or so) effect cymbal. I love it. It is not a sound as full as a bell cymbal, and it's almost splashy but not quite. Anyway, I feel that it stands out much more with these rubbers than when I use felts. All the rest of my cymbals are on felt and it works for me, but since this one is so small, and has that special neither bell nor splash sound effect I like the way these rubbers help to bring it out. 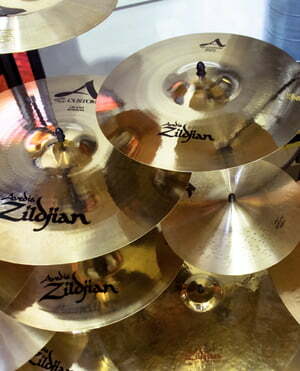 I didn't experiment a lot with my other cymbals, but if I do I'll let you know how it works. ID: 196770 © 1996–2019 Thomann GmbH Thomann loves you, because you rock!